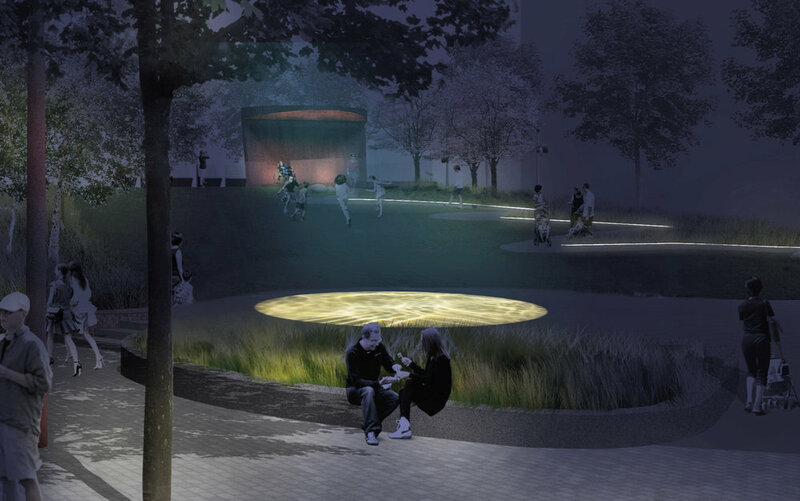 Conceived as moving water-light, captured in the waxing and waning of the moon, the proposed artwork Aqua Luna symbolizes and enacts interlocking rhythms and cycles of diurnal, lunar and seasonal transformation and regeneration. 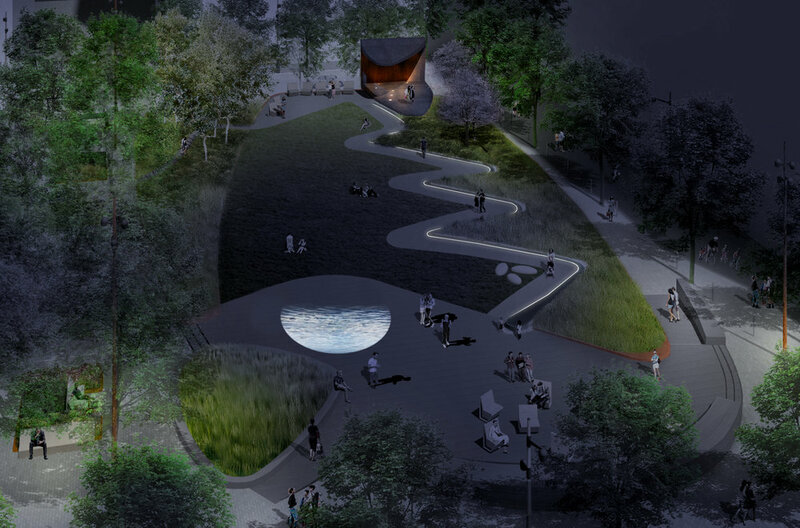 Projected into its granite bed, northwest of the main seating area of the urban porch in Aitken Place Park, it awakens each night after sunset, setting a mysterious and mercurial light in motion; night after night, waxing gracefully into fullness, sweeping across its stony bed, going dark, then gently waning. Body, Water, Moon, Season; all captured in relational interplay throughout the year. The aesthetic atmosphere of this diurnal dance of colour, light and shadow, and the variable time-pressures within which it moves, encourages and amplifies the sense of openness, intimacy, refuge and contemplation that the park as a vitalizing neighbourhood amenity aspires to create. A luminous place, Aitken Place Park and its Aqua Luna, invites us to participate in the beauty of this enduring unfolding, drawing our attention to the vast asset of Toronto’s Water and Waterfront, to the élan vital of the human body’s bio-cosmic rhythms and to the interconnecting currents of local, global and celestial events. It also invites us to play, to interact and perform with its light, to stage spontaneous and ritual events fostering conviviality and joy in the social life of this unique place.